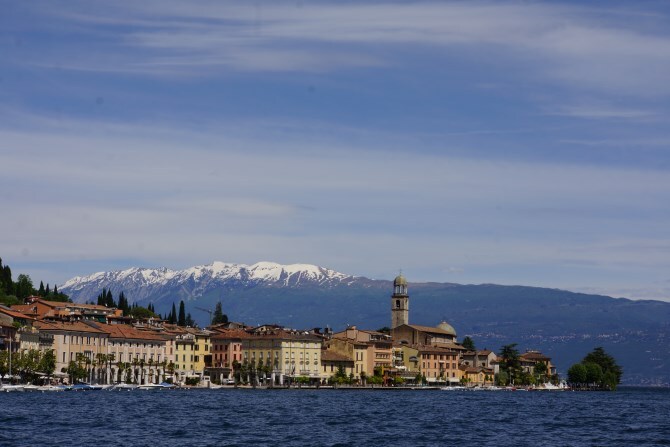 This weekend, from Friday 7th to Sunday 9th June, Moniga on the west shore of Lake Garda plays host to one of the most important Italian Rose wine fairs “Italia In Rosa”. 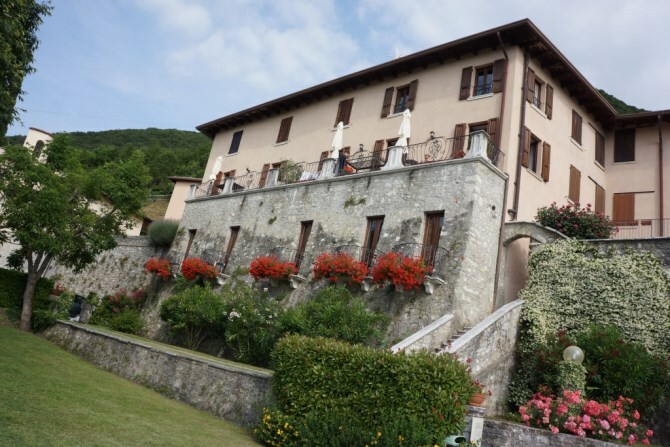 Over 100 wine producers, present their wines at the beautiful Villa Bertanzi, the place where over a century ago Senator Pompeo Molmenti first created the production process for the Valtenesi Chairetto, the important rose of the Lake Garda region. Of course in Italy wine and food are synonymous with each other so each year a chef is chosen to create the official dish of the festival, which is then featured along with Chiaretto wine by all of Moniga’s restaurants. This year Coregone al Olio, a local recipe which was created and perfected by Saulo della Valle, the chef of Osteria Suer&Garbino was met with such enthusiasm by the Municipal Administration who declared it this a typical dish of Moniga and this years official dish of the festival. Coregone is a member of the Salmon family and was introduced to the lake at the beginning of the 20th century. It’s flesh is white, fat free and virtually boneless. It is usually served grilled although this dish is a more complex creation also using the excellent local Lake Garda olive oil, and other local ingredients including lemons and capers. The dish was premiered at this years Vinitaly, where it was seasoned with crushed pink peppercorns, a reference to Chiaretto and making it the ideal combination. For more information about the festival visit the Italia in Rosa website.